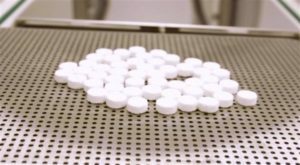 After winning an Innovate UK grant, FabRx have begun the development of the worlds first 3D printer for the production of personalised medicines. 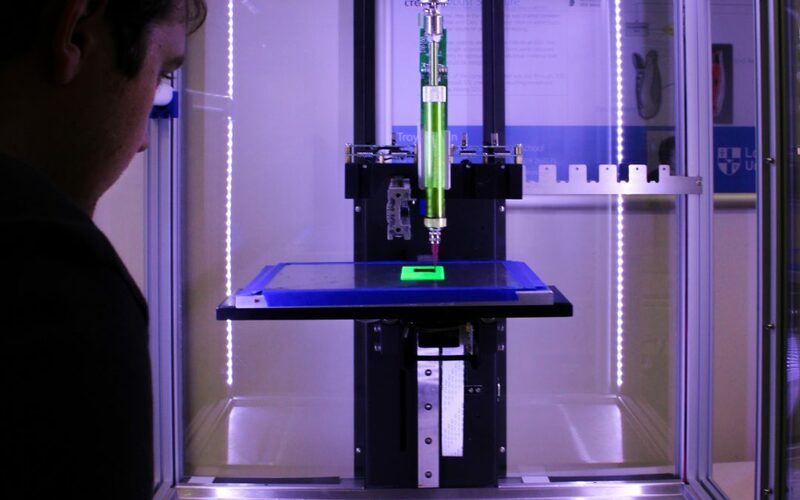 The aim of the project is to develop a 3D printer which is both safe and ‘fit-for-purpose’ for the production of printed tablets (printlets), in a hospital pharmacy setting. Currently, most medicines are available in set strengths and sizes, this can make it difficult when customising pills to a patient’s individual needs and can be particularly problematic with children. The worlds first 3D printed meat-free steak, made from vegetable proteins, mimics the texture of beef and was created by Spanish startup Novameat. A paste is made out of a combination of rice, peas and seaweed, which is then 3D-printed to form a raw, steak-like substance. By combining tissue engineering and bio-printing with cooking methods, Novameat have created a vegan product that contains the same consistency, appearance and nutritional properties as animal meat products. Designed specifically for the dental industry, Californian 3D printer manufacturer SprintRay recently unveiled its latest offering. With the new machine, SprintRay hope to reduce cure times and improve efficiency and accuracy. 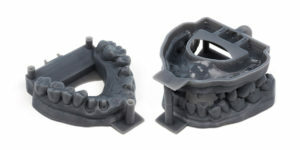 The machine can print up to 21 full dental arches in one build! With the dental 3D printing market expected to reach $9.5 billion by 2027, the company believes this latest system will reimagine what desktop printing can do for digital dentistry. The world-famous Swiss Guard’s, who date back over 500 years and have overseen the security of 40 popes, are for the first time to drop their classic metal helmets and adopt 3D-printed ones made from plastic-PVC. Reason being, the lightweight and UV resistant nature of the PVC makes them more comfortable and less susceptible to absorbing sunlight, during the hot summer nights in Rome. Coming from Texas, non-profit New Story and concrete company Icon, have paired up to tackle the issue of affordable housing. Their goal is to provide housing to homeless people, with an aim to push the total cost of a house below $4,000 and be completed in one day. They are commencing their work by building an entire neighbourhood in El Salvador. Worldwide they have already printed 850 homes, and hope to start their work in the central American country later this year. Each home is equipped with a bedroom, bathroom, office space, living room, alongside plumbing and electricity.